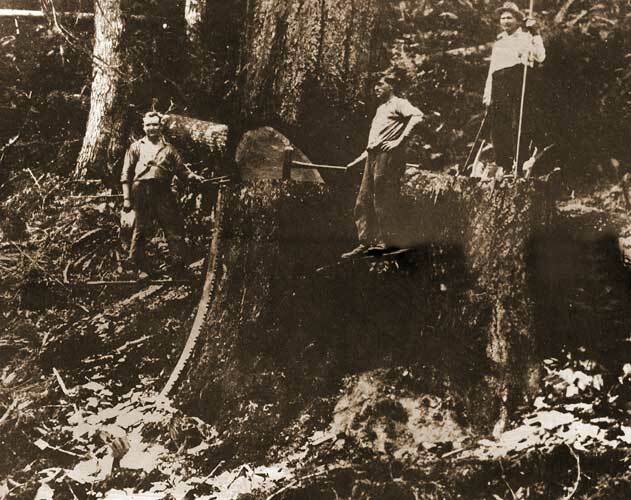 Kuzman Forest Products supplies quality, value-added Western Red Cedar, specialty Douglas Fir, Pine, Redwood and other species at reasonable prices, in a timely manner, to the wholesale and retail lumber trade. We believe in customer satisfation; you will find us the best place to meet your lumber needs. We take great care with every order, both large and small and will meet your timeline and specifications whenever it is in our power to do so. Integrity, Dependability and Quality are the keys to our success, and we practice them every day. 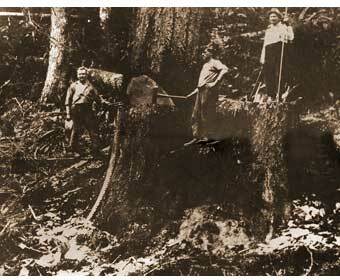 Matthew Kuzman, father of Gene Kuzman, who founded Kuzman Forest Products, is shown at the far left in this 1917 photo taken at a logging camp near Vernonia, Oregon. Copyright © 2008-17 Kuzman Forest Products, All rights reserved.